BIG FISH is headed to the South Pacific. There are some prime dates open so now is the time to book a beautiful yacht in a beautiful venue. Last month, Captain Winston came to Fort Lauderdale and gave us an informative afternoon at the Mai Kai. What a great venue for South Pacific theme. We had a delicious tropical lunch consisting of fresh green salad, teriyaki chicken, spicy beef, rice, wonton soup and complete with pineapple and coconut ice-cream. After a one hour informal one on one introduction we had our buffet lunch followed by an excellent video produced by Rob who works for the owner of BIG FISH and he also works for the yard where she was built. Included in the video were pictures of places BIG FISH has traveled since being launched. Her tour includes such places as Fiji, Greenburg, Iceland, Panama Canal, Rio, Florida Caribbean and now headed over to the South Pacific. Captain Winston took the stage and narrated an amazing colorful slide show of pictures of what is to come. The finale of the presentation was live drummers, dancers, and a live fire show by local performers of the Mai Kai. Upon leaving the restaurant my heart was still longing for the tranquility of the south pacific. 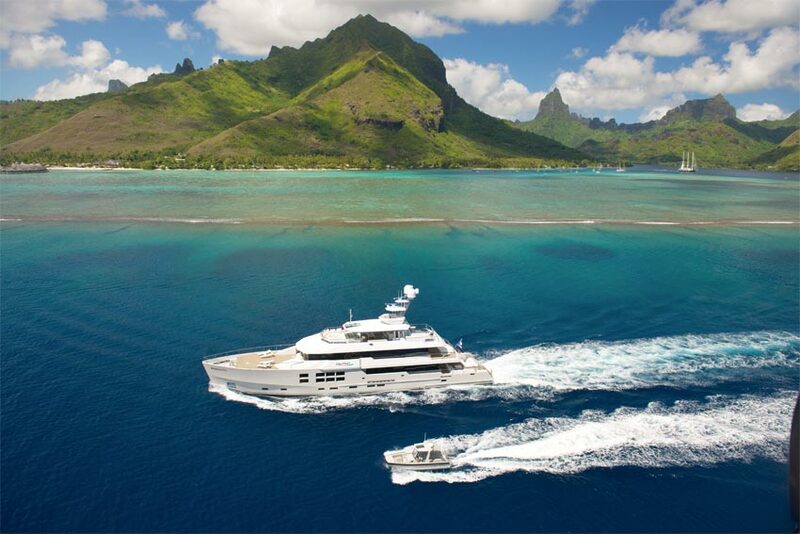 Contact us for itineraries along with a selection of yachts available in South Pacific The season begins in March and runs through Sept. With over 1 500 miles to explore the only question is how long will I stay?? ?